for Laser and Inkjet Printers, 3½" x 1"
After completing your project, put your mark on your report. 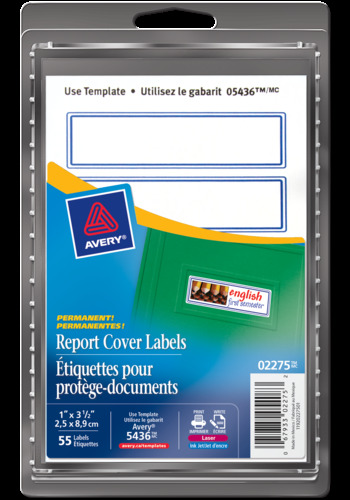 Report Cover Labels are designed to stick to binders, report covers, duo-tangs, and more. Blue bordered report cover labels can be handwritten or printed for a professional look. Customize labels from your computer with free templates available on Avery® Design and Print Online. Label Size 3½" x 1"